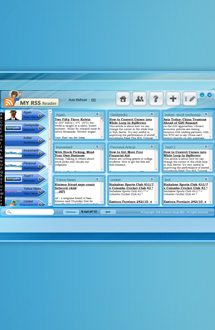 Description: My RSS Reader is an easy to use RSS Feed management tool which facilitates user to get all his subscribed RSS feed at one place in a managed way. 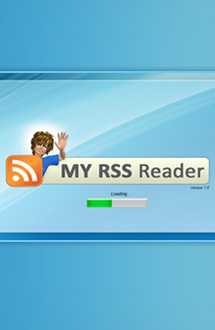 My RSS Reader fetch the feeds in real-time and update it in the reader. My RSS Reader is very easy to use and manage. User can save the site, he want to get RSS feeds from. All the RSS feed sites are shown on the home page of RSS reader with their details (title and Summary). User can easily move any specific RSS box via drag and drop. User can also directly get the RSS feed of the specific site he is looking for through its alphabetical order. 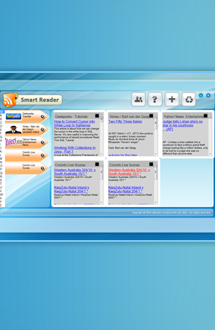 •	RSS feeds at one place. •	Easy to find RSS feed of the specific site.